This Slider is the quietest, smoothest and most versatile camera slider on the market. It allows you to mobilize any movie camera, video camera, digital camera or other piece of equipment. As you slide the camera across the slider and take pictures, each picture is seeing the subject at a different angle. 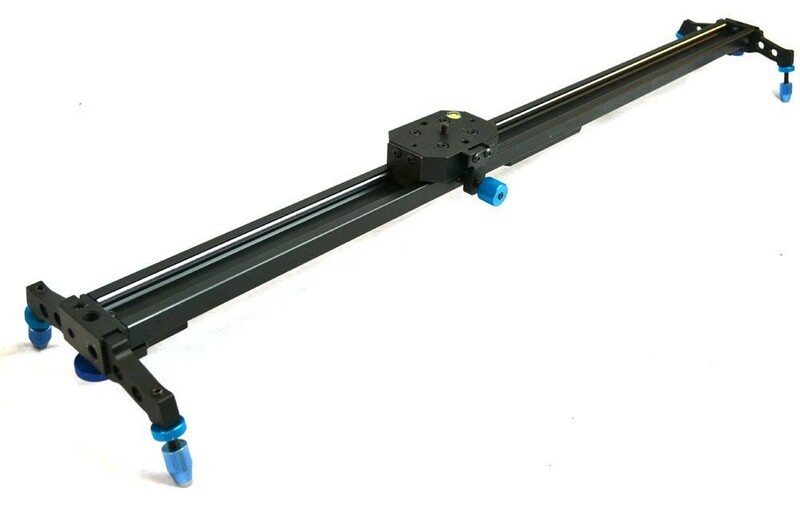 This professional camera slider provides shake free stability & Support to Cameras while shooting. - Made of Aluminum Steel Body with bubble level. - Length: 32", 40", or 48"